Speed: 36 Pages per Minute. Max Duty Cycle: 88,000 Month. Printer Resolution: 600 x 600 dpi. 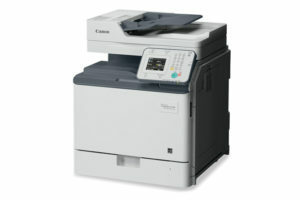 Mobile Print: AirPrint, Canon Mobile Print, Mopria Print. Scan Speed: 36 Scans per Minute. First- Print Time: Approx. 9 Seconds (Letter). Toner Yield: B&W 12,000@ 5% Coverage.